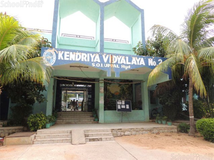 The Kendriya Vidyalayas are run by the Kendriya Vidyalaya Sangathan, an autonomous body formed by the Ministry of Education, Government of India, New Delhi, as a result of the recommendations of the Second Pay Commission. 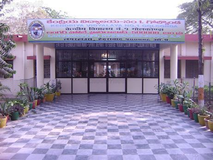 They primarily cater to the educational needs of the children of Central Govt. Employees including Defence personnel, State government employees and floating population. Needless to say, therefore, they have a common syllabus and are affiliated to the Central Board of Secondary Education, New Delhi. Every school, hence is a miniature India in itself and tries to inculcate in its students, feelings of patriotism, brotherhood and national integration. Places chosen for establishing Kendriya Vidyalayas are those having concentration of Defence Personnel and other transferable Central Govt. Employees. For admission, the Vidyalayas give priority to the children of transferable Defence Personnel, Central Govt employees and Personnel of All India Service. 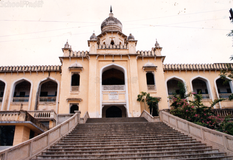 But other floating population desirous of having such common pattern of education are also eligible for admission to the remaining seats, the instruction is imparted through the media of Hindi and English in these Vidyalayas, the ultimate object being to enable pupils to achieve a reasonable measure of proficiency in both the languages. 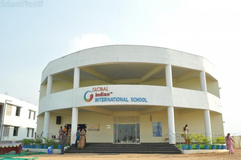 However, social studies is also taught in English in Kendriya Vidyalayas. The Vidyalayas prepare pupils for All India Senior Secondary School Examination and All India Senior School Certificate Examination conducted by the Central Board of Secondary Education, New Delhi. The Vidyalayas are being developed as Quality Vidyalayas with some of the useful features of popular residential Vidyalayas, without making schooling very expensive. The quality of teaching is kept reasonably high by appointing highly qualified teachers and ensuring an appropriate teacher - pupil ratio. They are equipped with good libraries, laboratories and provide for a variety of co-curricular activities. The Vidyalayas provide for studies in Humanities and Science and many of them are multi-purpose in character proving for diversified courses in Commerce, Computer and information technology. Admission process starts from 9th February onwards.,1. PUBLICITY\nAn advertisement shall be issued by the Regional Office in the local newspapers in the 1st week of February giving the admission schedule (Annexure follows) and inviting Parents to register their wards for admission in Kendriya Vidyalayas. This advertisement should specifically indicate that admissions in Kendriya Vidyalayas are not restricted to Central Govt. employees and are open to all, only certain priorities have been laid down for different categories to regulate the admissions. The reservations for SC, ST and Physically Handicapped and under RTE Act 2009 should also be indicated.\n2. REGISTRATION\n(i) Registration shall not be done if there is no vacancy or likelihood of any vacancy in a particular class. In case a vacancy arises in future, registration can be made after giving wide publicity at local level and admission can be granted as per KVS Admission Guidelines.\n(ii) In case the number of children seeking registration is less because of which all seats have not been filled up, the Principal shall issue a second/third advertisement in the months of May and June notifying the availability of vacancies.\n(iii) Admissions are required to be made with the approval of the Executive Committee of the Vidyalaya. In case the Executive Committee does not approve the admissions up to the full sanctioned strength of the class, the Principal shall intimate this fact to the Deputy Commissioner who may approve the admissions.\n(iv) Registration for class XI shall be taken up immediately after the \ndeclaration of results of class X and admissions up to the full strength of the class should be completed within 30 days after declaration of results by CBSE. 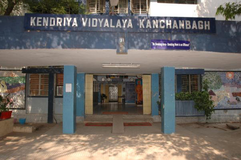 In case there is any difficulty in admitting children up to the full strength because of the Executive Committee of the Vidyalaya not approving the same, the procedure as laid down for other classes above shall be followed and admissions up to the sanctioned strength of the class shall be made by 31st of July with the approval of the Deputy Commissioner. \n(v) Registration forms shall be made available by the Principal FREE OF COST. \n(vi) Registration forms complete in all respects and accompanied by all required documents must be submitted to the Vidyalaya office within the prescribed date.\n(vii) Attested copies of the prescribed documents would be required to be submitted along with the application form for registration. 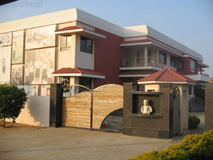 Best schools in Hyderabad, Best schools in Dundigal, Best CBSE schools in Hyderabad, Best CBSE schools in Dundigal, Best Coed schools in Hyderabad, Best Coed schools in Dundigal, Best English medium schools in Hyderabad, Best English medium schools in Dundigal.